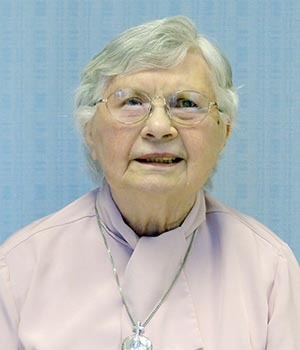 ​Read the memories shared at Sister Evelyn's funeral. 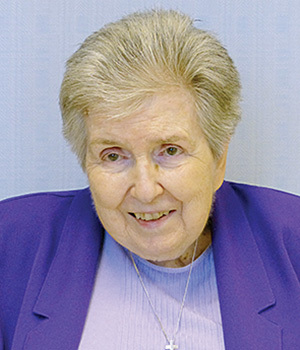 Sister Evelyn Joyce Metro could tell a good story but one was never sure how much she exaggerated. However, it seems she had a grateful memory. By all accounts she was a lady to her fingertips, who kept her gracious composure, even when giving a disruptive eighth grader a piece of her mind. Later at the convent evening meal, she shared her rendition of the incident, always bringing laughter. 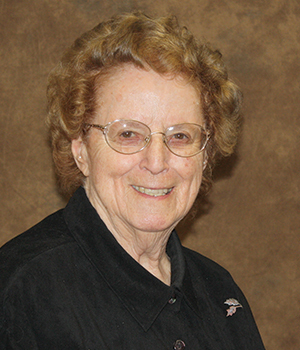 Sister was a terrific junior high teacher who had a wonderful relationship with her students. She instinctively knew how to motivate them to tutor one another and redirect their negative energy into leadership of the class. 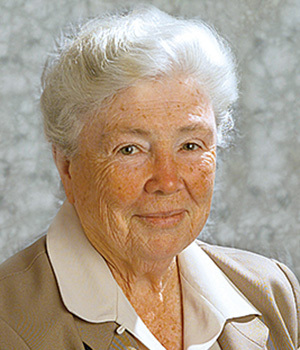 Her 30 years teaching grades five through eight were spent in Catholic schools in California, Washington and Nevada (1950-1980). She also proved to be an excellent religion teacher and senior class advisor at Judge Memorial Catholic High School, Salt Lake City, Utah (1980-1988). 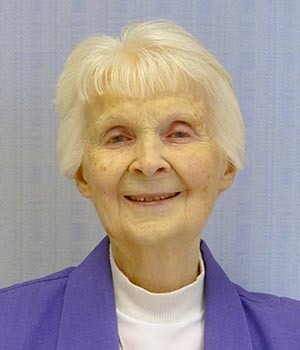 Sister Evelyn Joyce had 90 years of a good life. 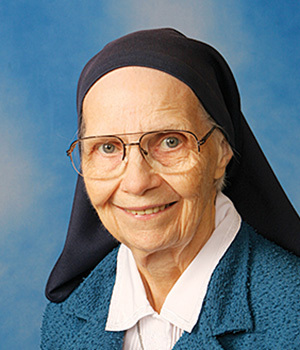 Sister M. Agnes Loretto (Scheberle), CSC, supported her application to enter the convent soon after graduation from Saint Agnes High School, Los Angeles, California. 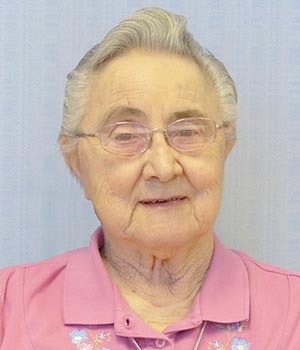 Sister wrote that Evelyn was “earnest and will make every effort to be a real Sister of the Holy Cross.” Evelyn received the name Sister Mary Francilda at her reception into the novitiate; in 1967 her family asked her to return to her baptismal and family names when the option was offered. 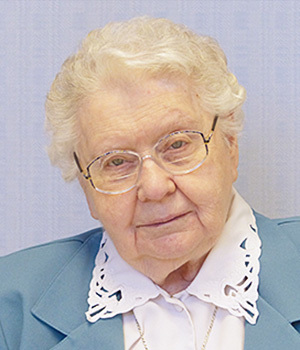 Sister Evelyn Joyce left the Eternal City to live north of the City of Angels in Ventura, California, with her community at Saint Catherine by the Sea, eventually retiring there for 17 years. 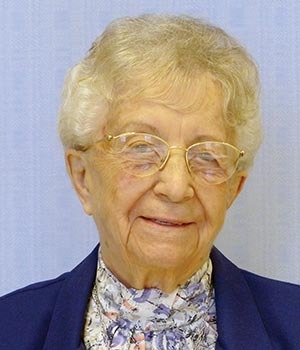 In 2015 Sister Rita Slattery assisted her in the move to Saint Mary’s Convent, Notre Dame, Indiana, and recently wrote, “Evelyn Joyce was aware of her challenges at that time, but seemed able to face them with courage and hope.” In all her 70 years of community life and ministry, Sister Evelyn Joyce was earnest and a real Sister of the Holy Cross. You may donate in Sister’s name to the Ministry with the Poor Fund.